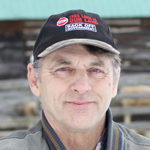 The Ontario Landowners Association (OLA) is seeking intervenor status in a court case that will go before the Ontario Court of Appeal this Spring. It is a case that we felt we had to be part of because of its incredible importance to property owners who are looking to build or renovate their homes or farms and even drainage and improvement operations. The case in question is the Gilmor v. Nottawasaga Valley Conservation Authority (NVCA) that was done in Sept. 2015. See http://www.ontariolandowners.ca/news/illegal-bullying-by-conservation-authorities-castigated-by-high-court-by-gord-turcotte/ for background information. This case started in 2008 when the Gilmors bought a 10 acre lot that was severed in 1968 along with several other 10 acre lots off a farm. The other lots were all built on by 2008 and the Gilmors expected no issue with getting a building permit. They were wrong and were refused on the basis that if there was a 100 year flood, the NVCA feared for their safety if emergency vehicles were unable to reach them. No worries for those who had already built there! The Gilmors went through different levels of appeal and ended up in the Ontario Superior court where a panel of 3 judges stated that the conservation authorities had overstepped their jurisdiction and they granted the Gilmors the right to build. The NVCA has now appealed to the Ontario Court of Appeal. The Gilmors have chosen to represent themselves in court without a lawyer. We feel we need a lawyer there to hopefully keep this win on the books for all property owners. To that end, we have retained lawyer, Arkadi Bouchelev, the lawyer who represented the Gilmors, to represent the OLA as an intervenor in the case. He thinks that it will take between $15,000 and $20,000 but as we all know, in court cases, there is no guarantee of the results or how much it will cost in the end. We need YOUR HELP to raise money to pay for this endeavor. If you can afford it, please send your donations, big or small, to our Litigation Fund and indicate in the memo line that you are directing those funds to the ‘Gilmor Case’. Make cheques payable to the: OLA Litigation Fund. For more information, contact me at thelandowner@bellnet.ca or call 613-831-2642.